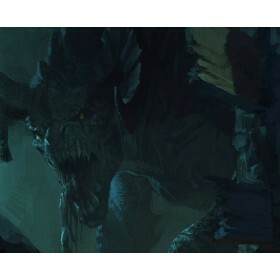 Non Refundable Deposit: $100.00Non-refundable deposit will be charged immediately upon order placement. 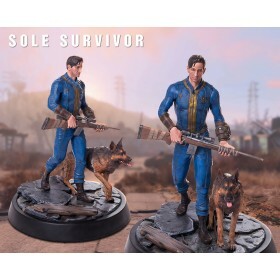 You will earn 1,000 Credits for purchasing this product. 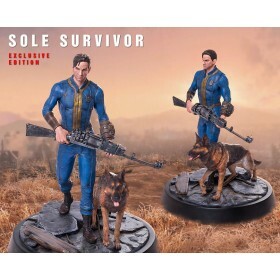 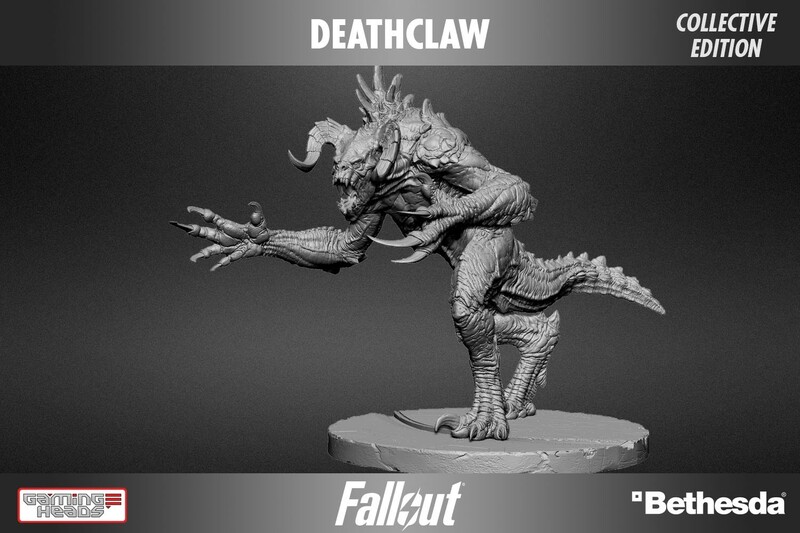 Gaming Heads is proud to present the Fallout®: Deathclaw collective edition statue (also available in an exclusive edition and a regular edition). 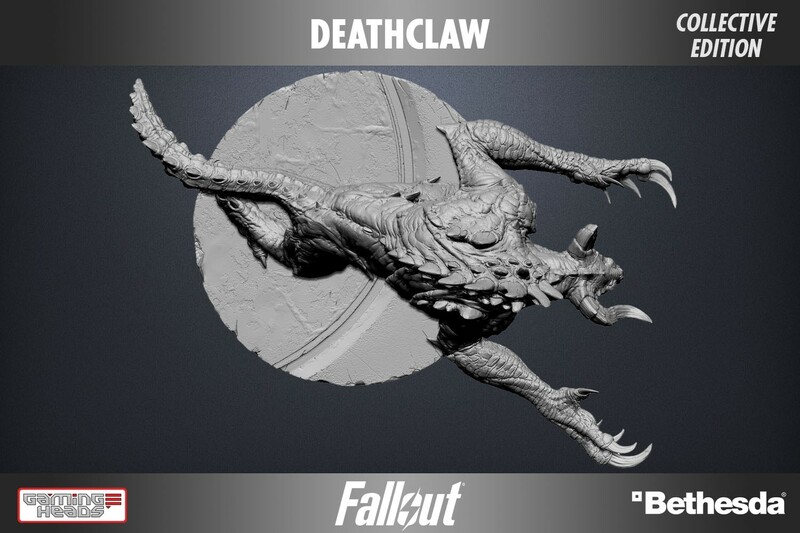 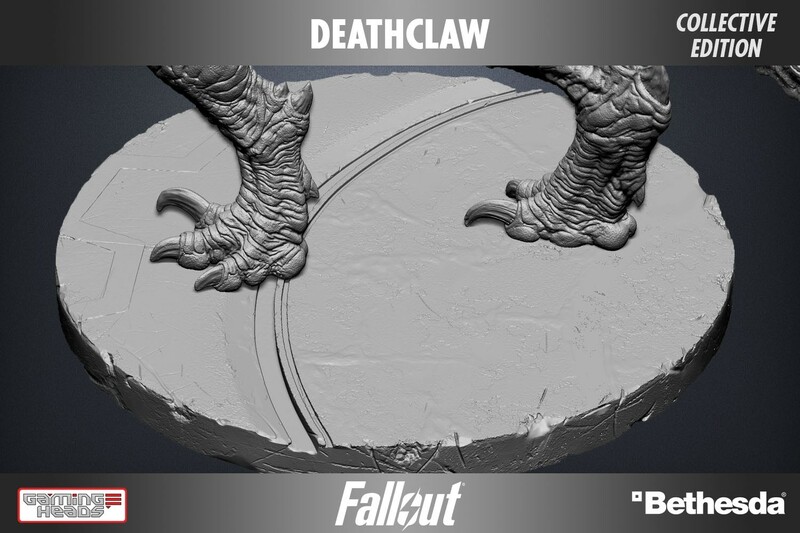 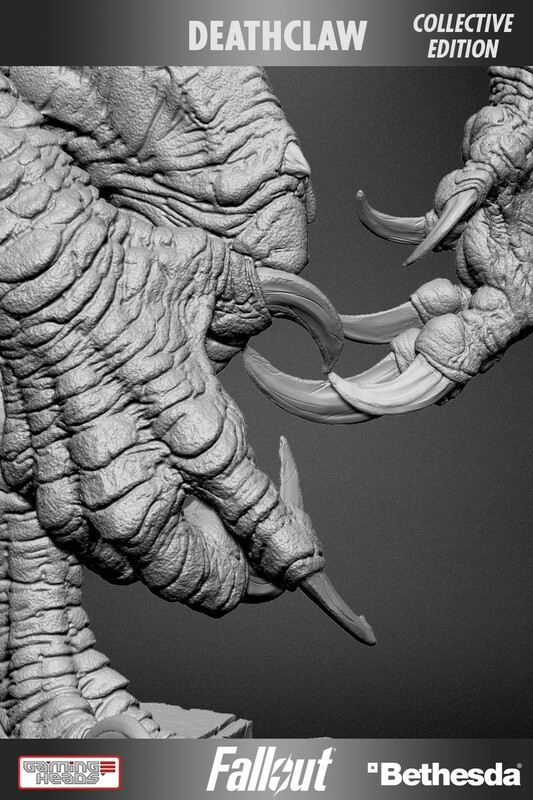 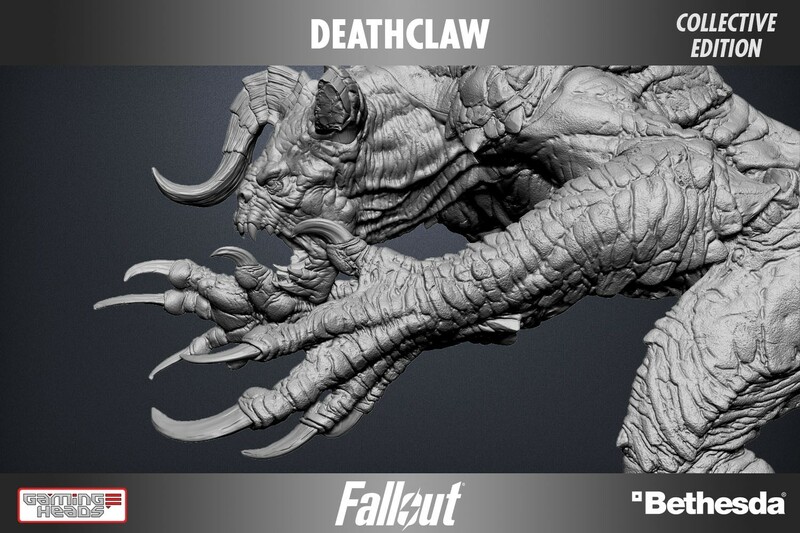 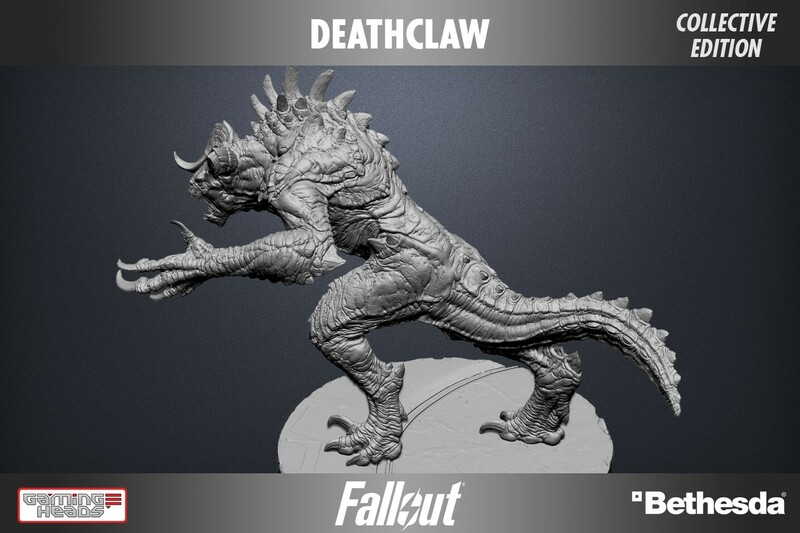 A Deathclaw is roughly nine to ten feet tall, with a thick and resilient hide, powerful muscles and has long razor-sharp claws that can kill almost any other creature in only a few swipes; hence its name. 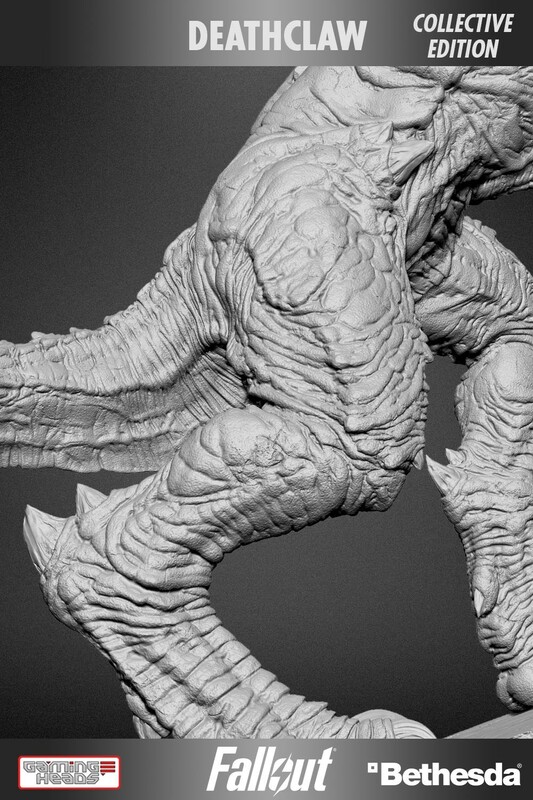 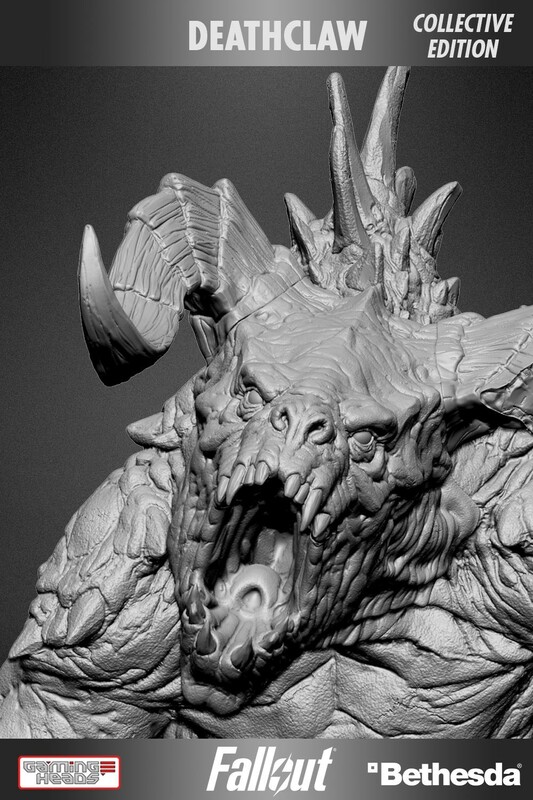 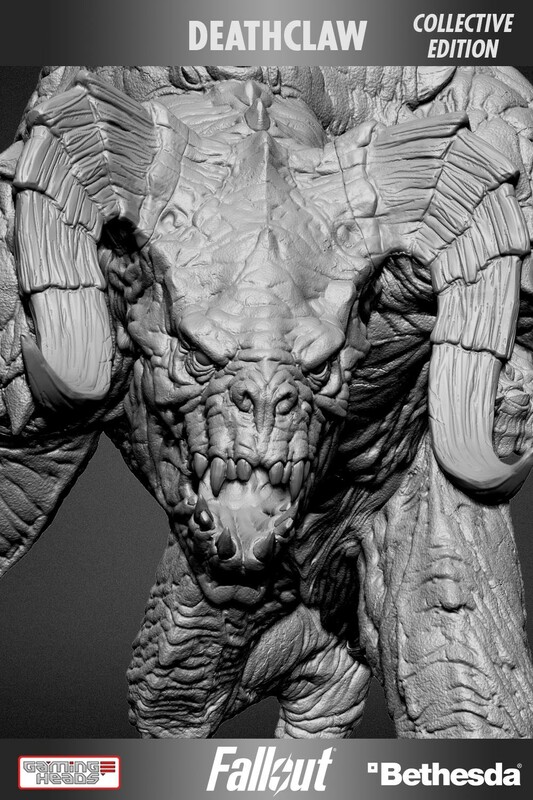 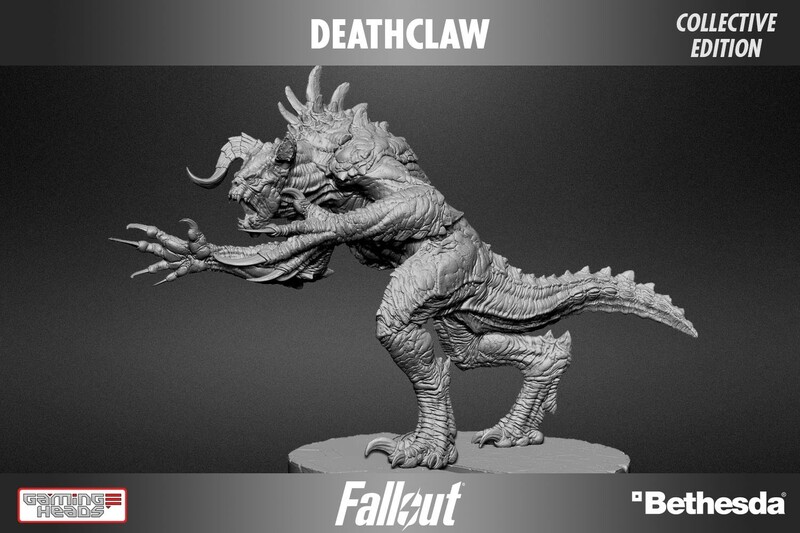 The Fallout®: Deathclaw collective edition statue stands approximately 28 inches tall and a massive 41 inches long. 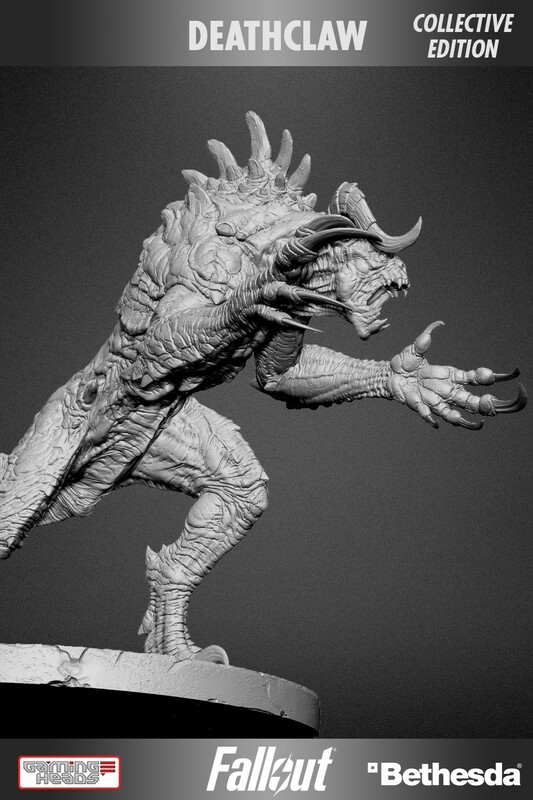 This beautifully designed piece is carefully cast in polystone resin and has been left bare and unpainted so you can paint it to your own liking for that unique personal touch. 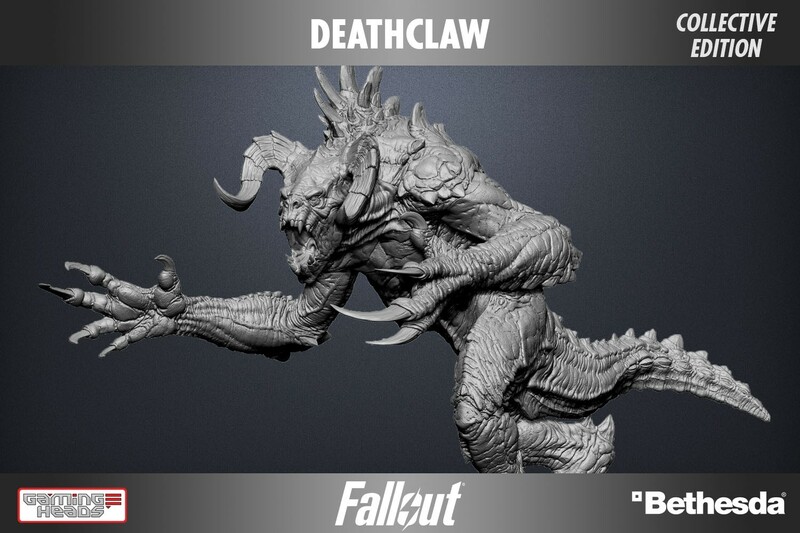 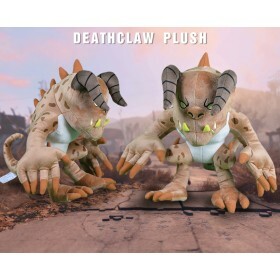 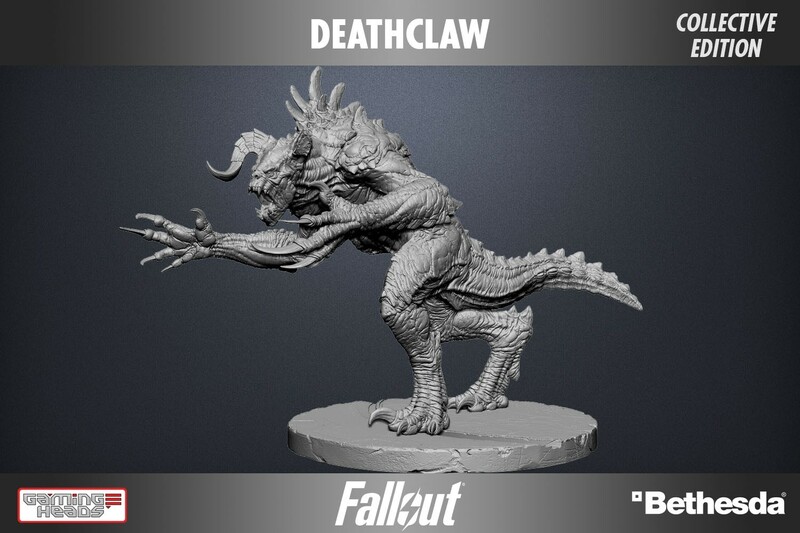 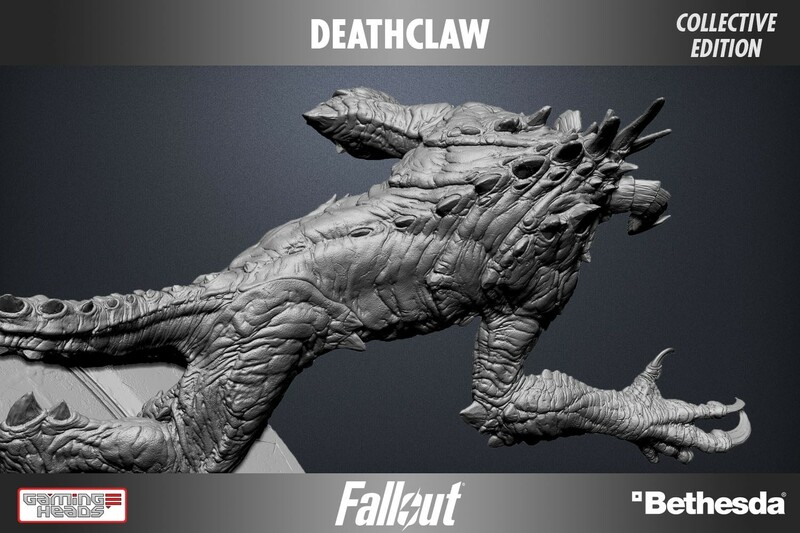 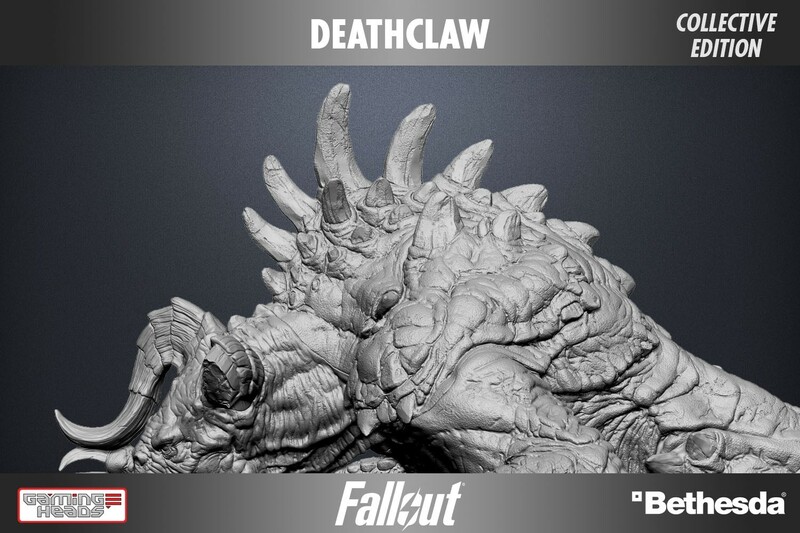 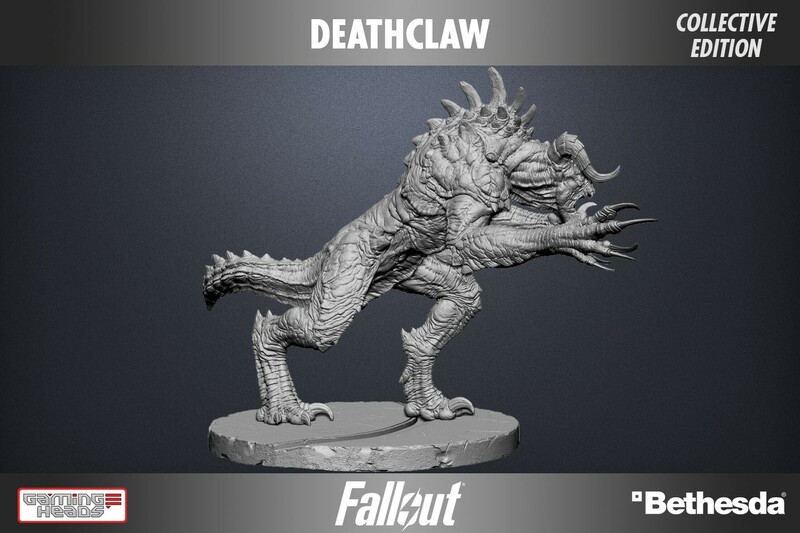 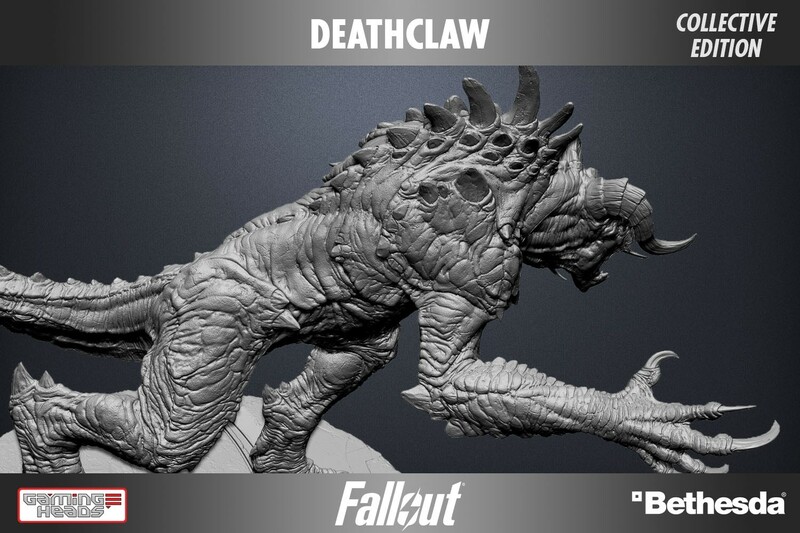 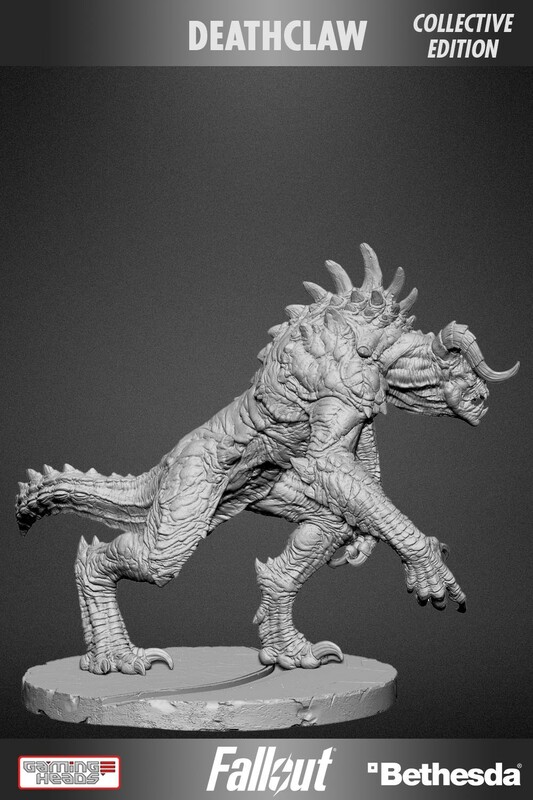 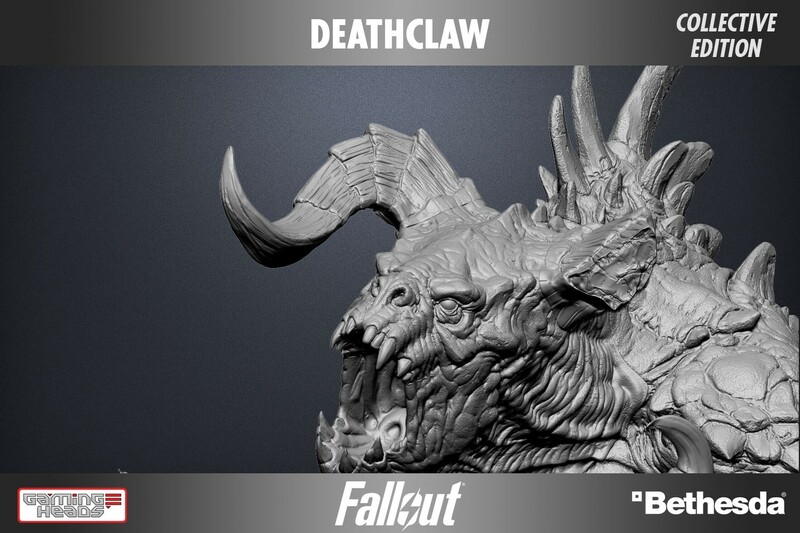 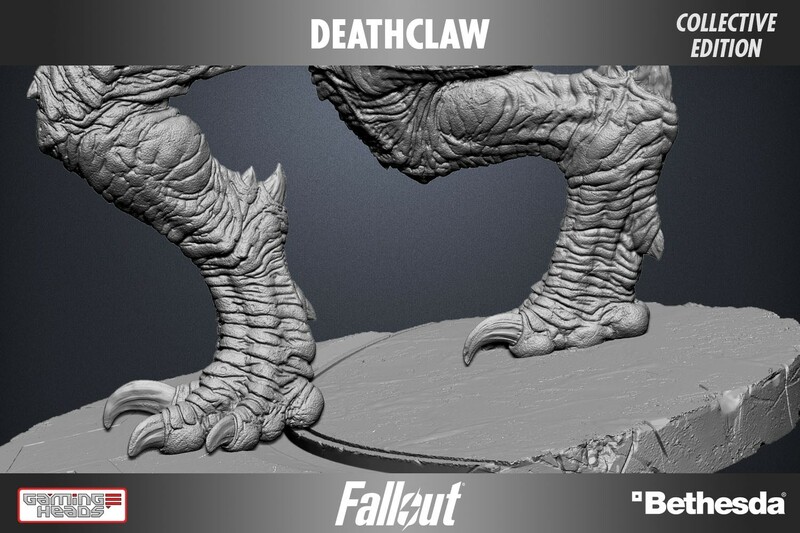 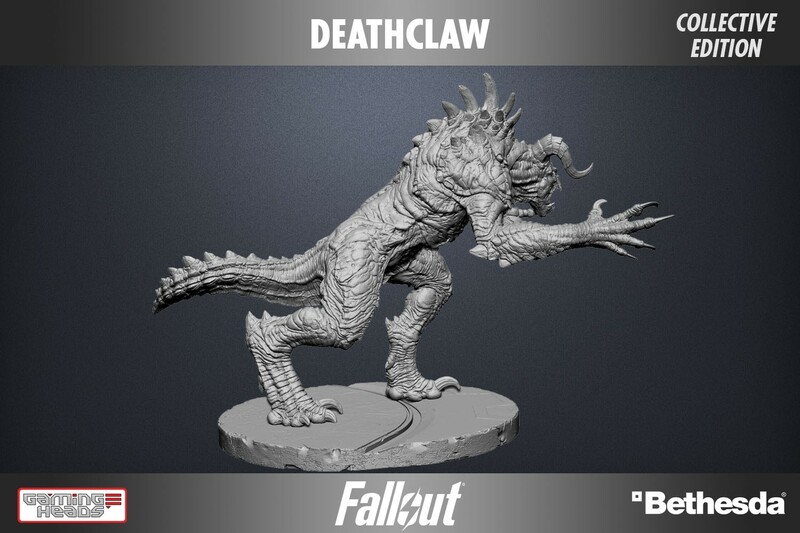 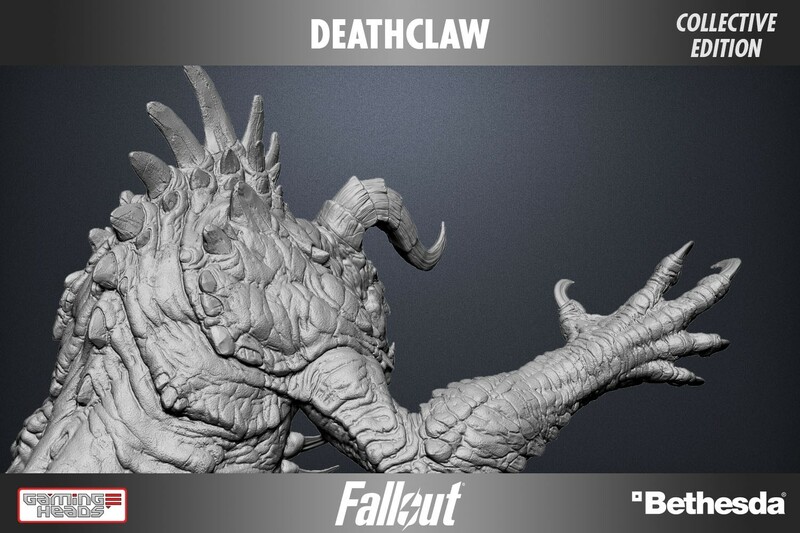 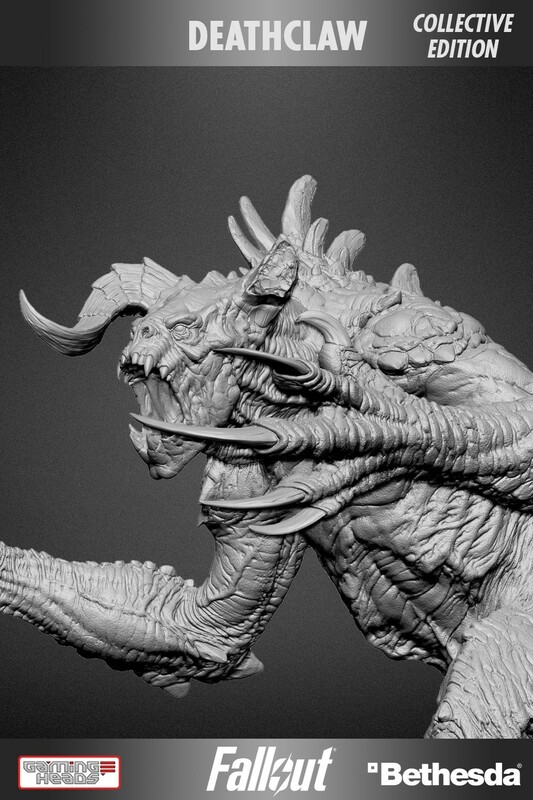 The collective edition Deathclaw statue, only available at the Gaming Heads store and limited to 50 pieces worldwide, comes with an additional lower jaw, set of claws and a (broken) left horn. 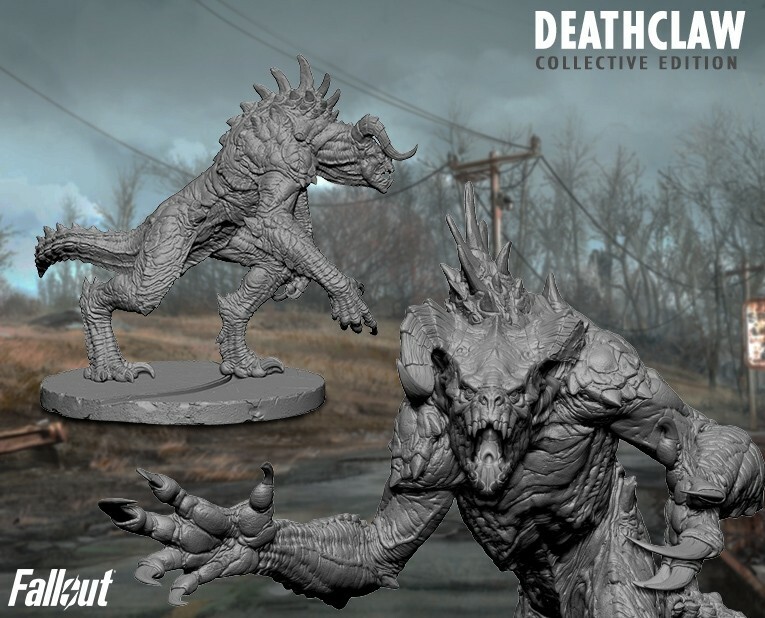 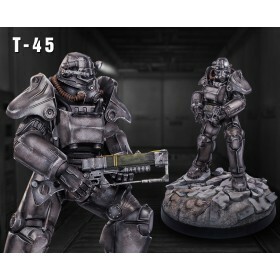 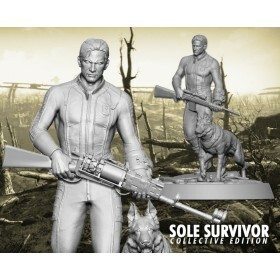 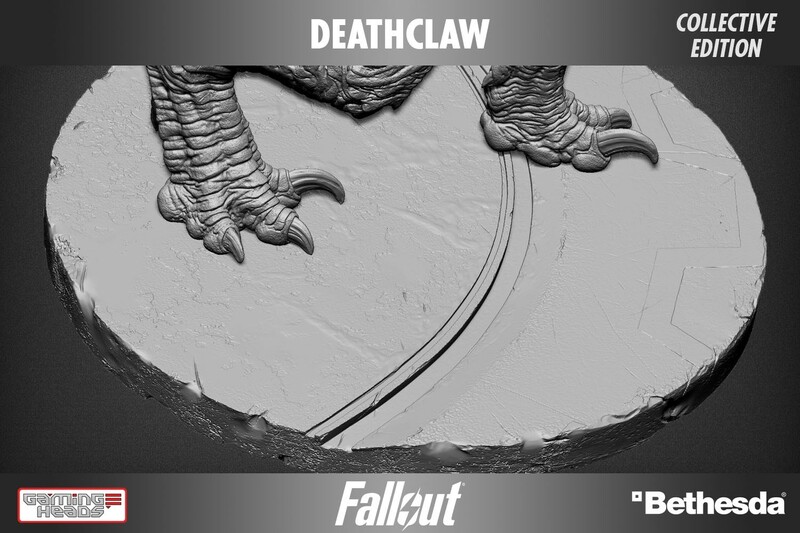 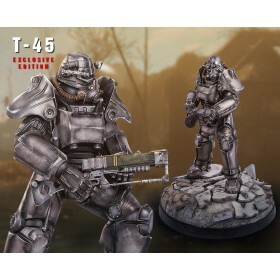 Each Deathclaw collective edition statue comes packed in a deluxe full-color box, has an individually hand-numbered base and a validation card that will allow you to purchase the same product number for future Fallout® statues once you validate your purchase. 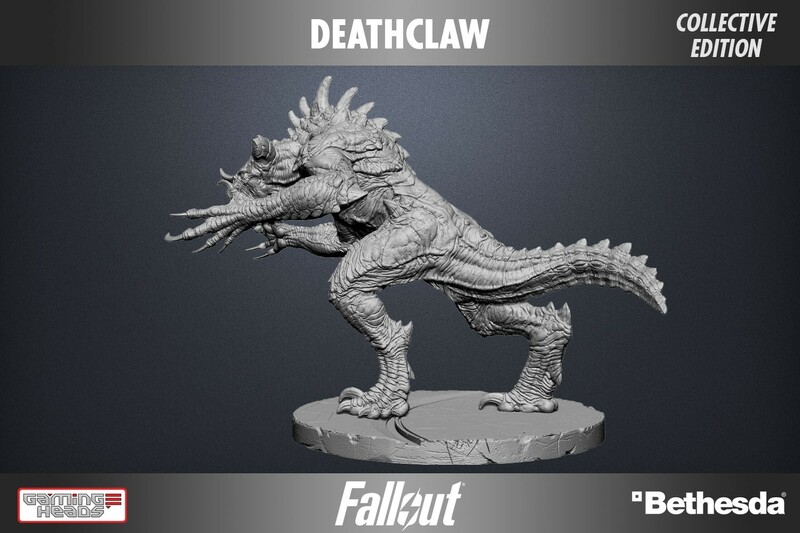 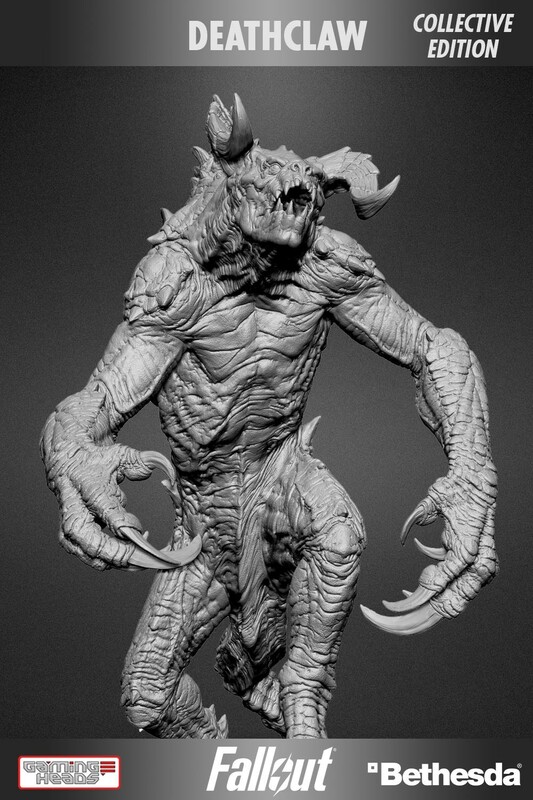 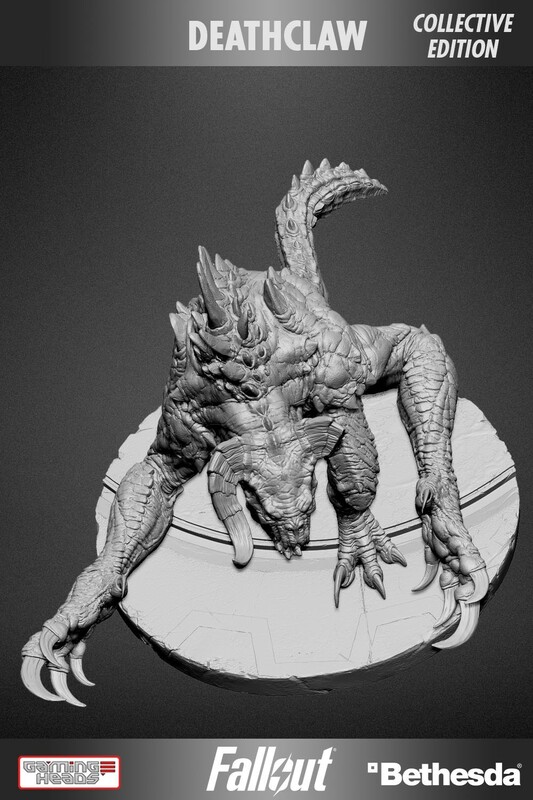 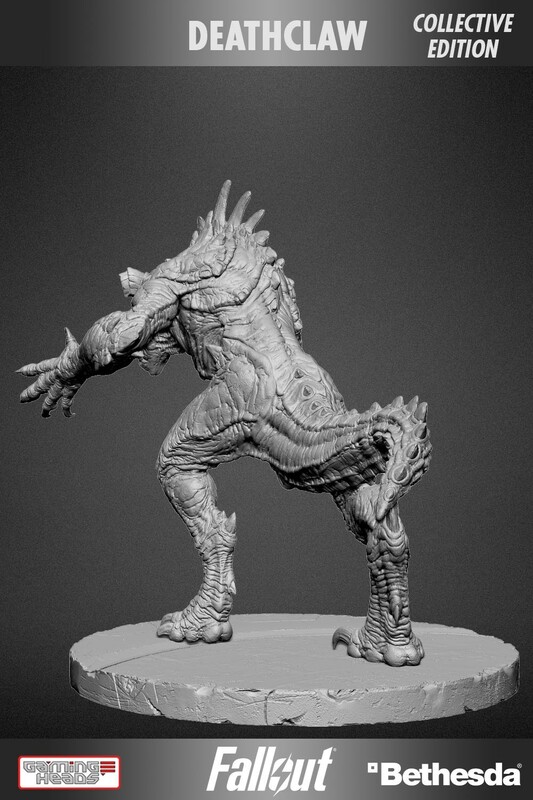 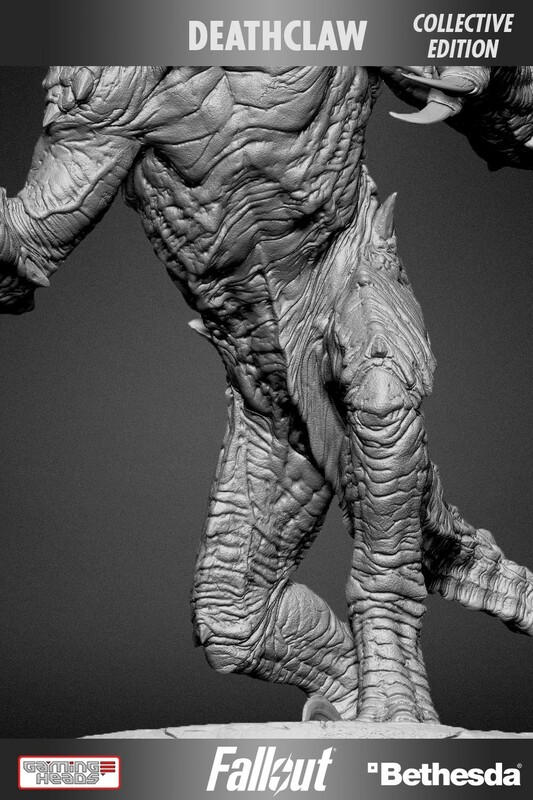 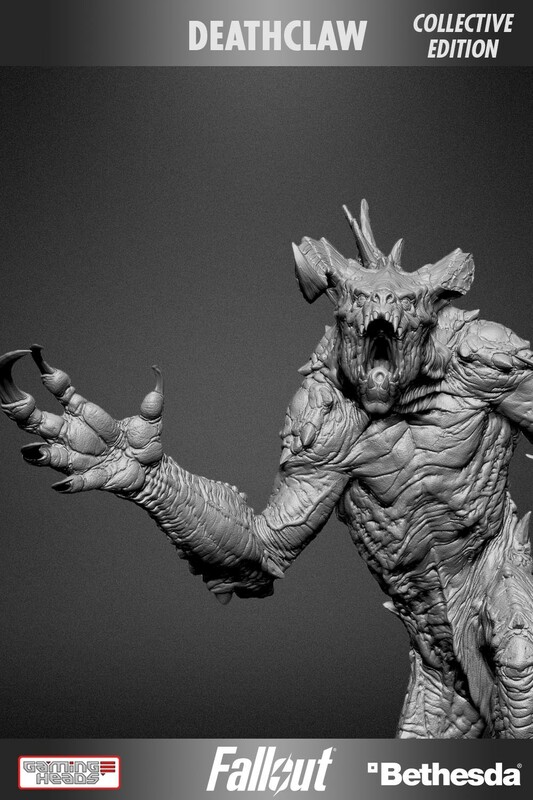 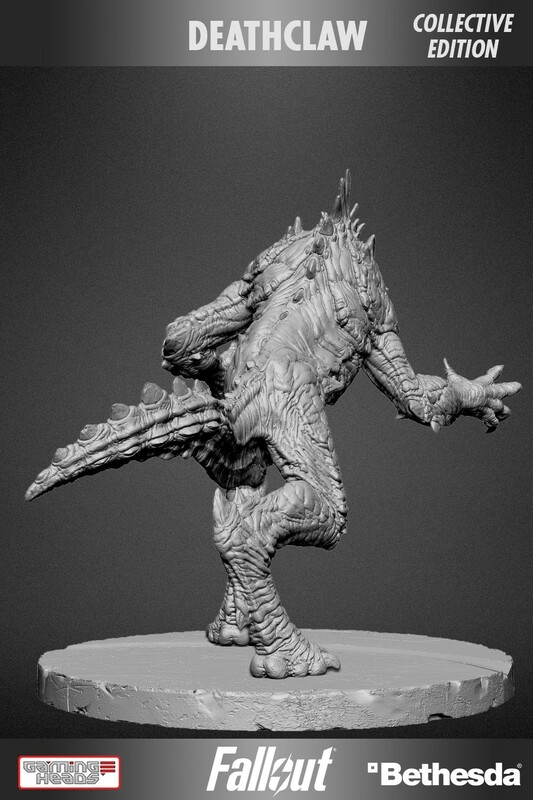 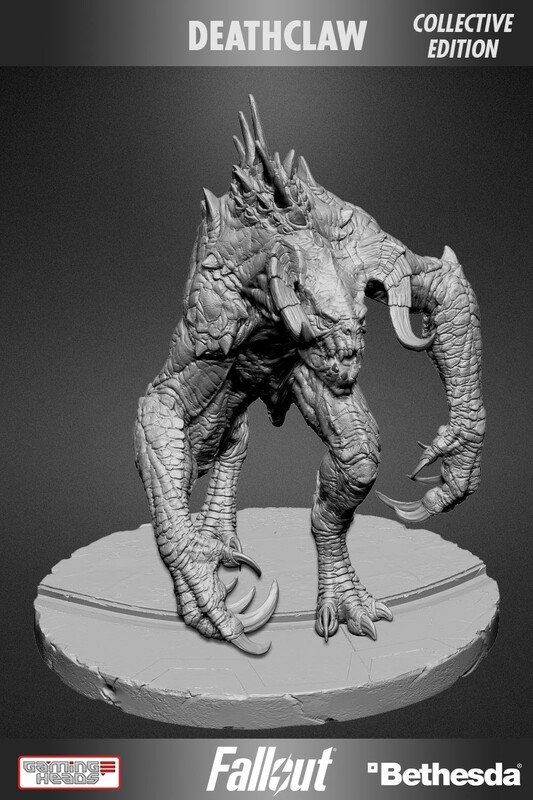 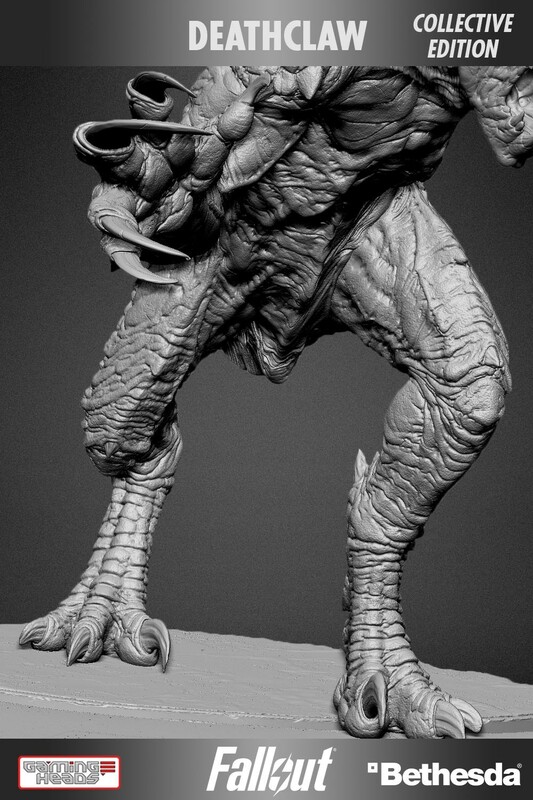 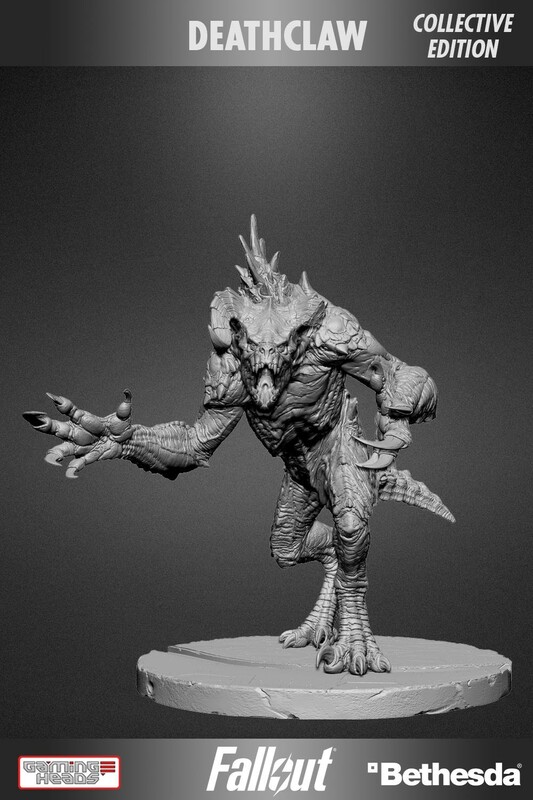 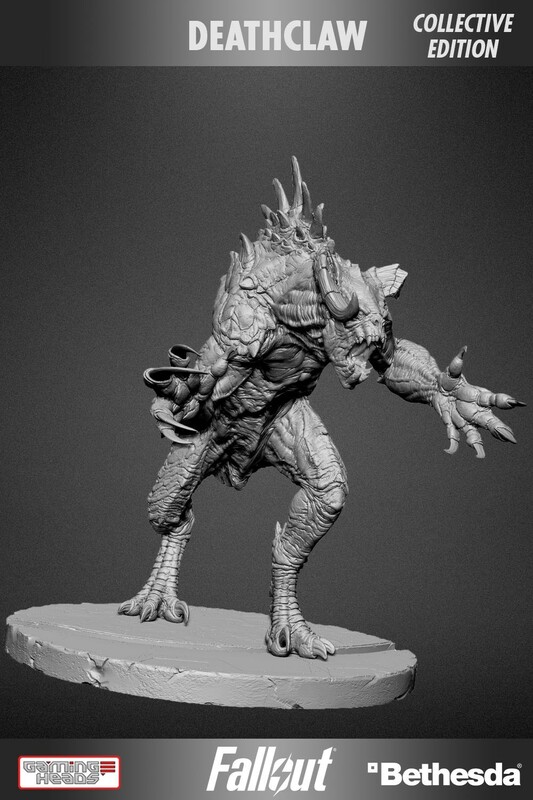 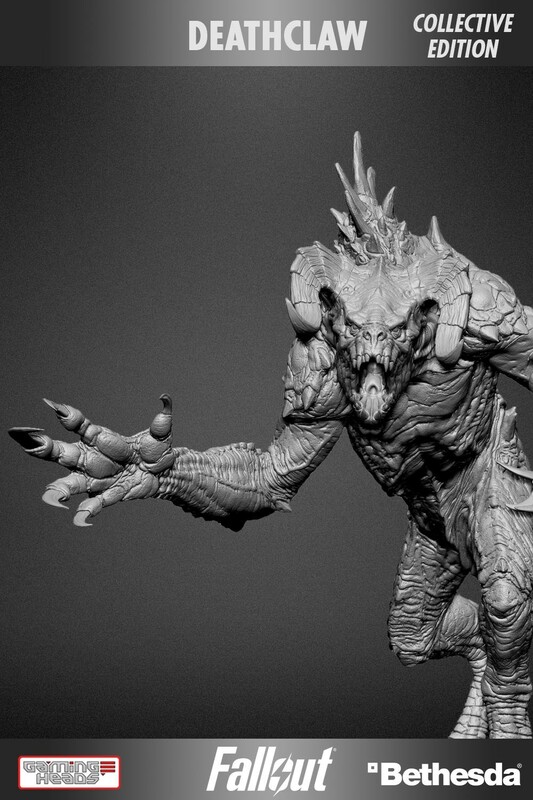 Get $10 off the Deathclaw in the Museum of Witchcraft master edition art print when you purchase this statue. 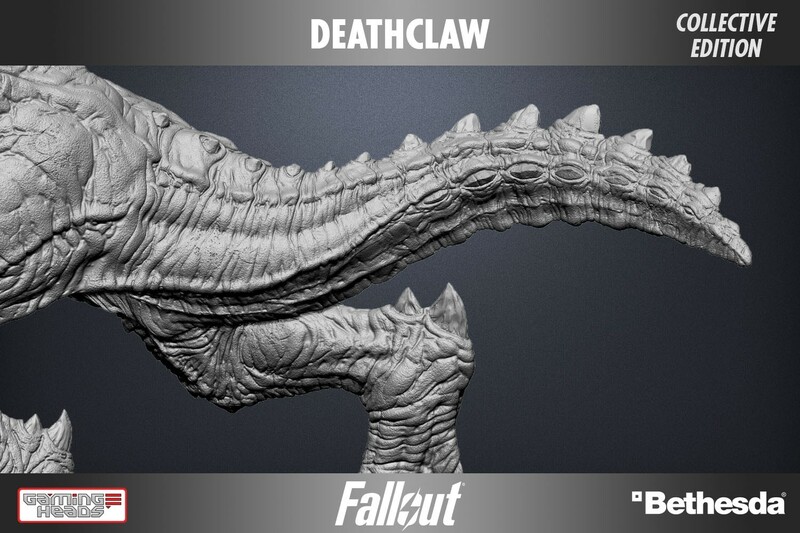 Product dimensions: (Height x Length x Width) 28 x 41 x 24 inches (approx). 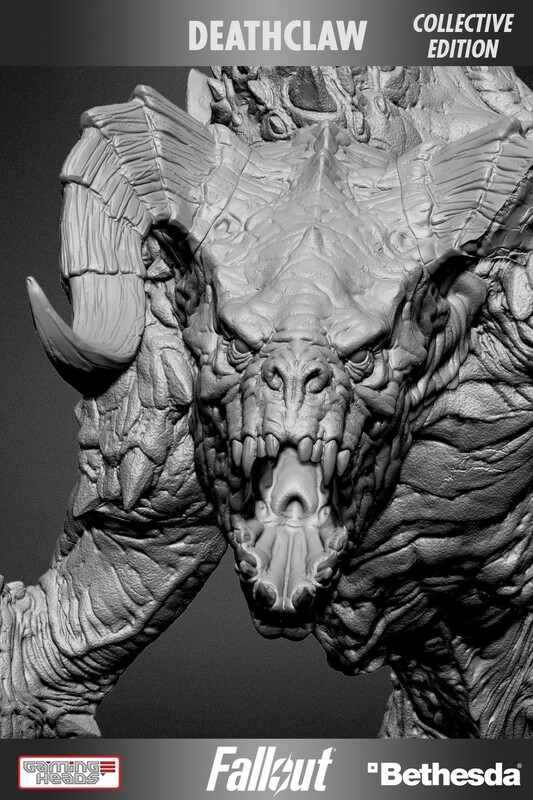 Limited to 50 pieces worldwide and limited to 2 pieces per account/customer only.